Security Screen Doors are designed to meet your requirements and easily fixed to your Existing doors and windows available in a wide variety of models including bi-folds, hinged, Double doors and stacking doors. 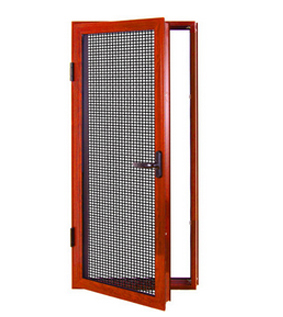 Security screens Door systems help make your home more secure from mosquitoes and insects with our range of window and doors. Manufactured with high quality grade 6063corrosion resistant aluminum Profiles With good thickness and support Midbar to meet architectural exterior standards for heavy usage. The fixing of security steel mesh to the aluminum frame with high strength fixtures design and developed to withstand high impacts and to provide high level of security.